YWAM Crossroads DTS Authority and Submission notes from lectures by Steve Aherne"
The problem is never authority; the problem is the use of or abuse of authority. We should have no hang ups with authority. Don't throw the baby out with the bath water. Two wrong extreme responses to authority: doormats, slaves or rebels. The ultimate authority is God and authority comes from God. The battle is won or lost in the heart. What is the difference between submission and obedience, are they synonymous? God is the Father of my spirit. Luke 2:41-52 tells of Jesus at age 12 going to the Temple. He was there legitimately to learn. He continued to grow in wisdom, stature, and favor with God and man. If Jesus had to grow in wisdom, stature, and favor with God and man, so do we. Our opinion matters to God, what you think is important. Prayer is the switch that kick starts change. Persistence in prayer is taught in Matthew 6. What God plans for us is an unfolding revelation. There are five circles of authority: individual, family, church, work, and government. Ephesians 5:21 For you were called to freedom, brethren; only do not turn your freedom into an opportunity for the flesh, but through love serve one another. Freedom can be used two ways: biting, devouring and consuming one another or in loving and serving one another. How do you spend your freedom? Do you make others feel special and important? Build self esteem in your wife, lay down your life and minister to her. Just as I am aware of, and respond to, symptoms in my body, I am to be that sensitive and responsive to my wife. The number one need for women is affection. 2 as they observe your chaste and respectful behavior. Don't focus on your rights but rather on your responsibilities in your role. a Your Heavenly Father gave it to you. b. You take the Father with you. c. You do whatever you do for His glory. 17 Honor all people, love the brotherhood, fear God, honor the king. Every person is to be in subjection to the governing authorities. 1 For there is no authority except from God, and those which exist are established by God. Church is the authority which offers mercy, government is the authority providing justice and punishing evil. Submission brings guidance for the Christian, like a seesaw with the Bible as the fulcrum submission to the various circles of authority are on the one side and words we believe to be from the Lord are on the other, thus providing guidance. Submitting to authorities is saying this is not decided, what do you think? What is God saying to you? Sometimes your family will think you are crazy. You have an attitude of submission but do what you believe God wants you to do. 20 And He came home , and the crowd gathered again, to such an extent that they could not even eat a meal. Steve reffered to the Trinity as the trinity brothers or trinity boys, quite disrespectful, but emphasizes the equality between the persons of the Godhead. The parable of the sower, Steve says, is not about salvation but rather discovering the will of God. He says that if you can overcome the Enemy, the world, and yourself, you can do the will of God. Your worst enemy is you. Steve taught extensively on big G little g, saying we can change our environment and co-create with God, which I strongly disagree with. He says, stuff doesn't happen because the little gods don't cooperate. "Without God man cannot, without man God will not." He quoted from Nelson Mandela. Steve said, "God plans things but we still make choices. God and His relationship to creation is not static but dynamic." This teaching is called open theism an attempt to explain the foreknowledge of God in relationship to the free will of man. The argument of open theism is essentially this: human beings are truly free; if God absolutely knew the future, human beings could not truly be free. Therefore, God does not know absolutely everything about the future. Open theism holds that the future is not knowable. Therefore, God knows everything that can be known, but He does not know the future. Open theism bases these beliefs on Scripture passages which describe God “changing His mind” or “being surprised” or “seeming to gain knowledge” /span> IIn contradiction to open theism, Psalm 139:4, 16 state, “Before a word is on my tongue you know it completely, O LORD...All the days ordained for me were written in your book before one of them came to be.” How could God predict intricate details in the Old Testament about Jesus Christ if He does not know the future? How could God in any manner guarantee our eternal salvation if He does not know what the future holds? Steve spoke on what he called essence relating to the Holy Spirit infilling us and the oneness we have with the Trinity. The phrase "Essence of God" is a theological term used to refer to God's personal characteristics, or to the facets of His personality. Sometimes the term "Attributes of God" is used to refer to God's essence. The "attributes", or the "essence", of God are His primary characteristics. Each of the Persons of the Trinity are separate individuals. Father, Son, and Holy Spirit. However, each of the members of the Holy Trinity are God, and they are united in essence by each of them being fully God. Christ is unique among the members of the Holy Trinity in that He became one with humanity in the incarnation – becoming one in essence with us. However, He did not lose any of His God Nature in this process. He still remains fully God. The love of God is unconditional, the favor of God is conditional. Taking an absolute and making it a relative is liberalism. Taking a relative and making it an absolute is legalism. The five circles of authority, the stories from the book of Daniel are very familiar to me. 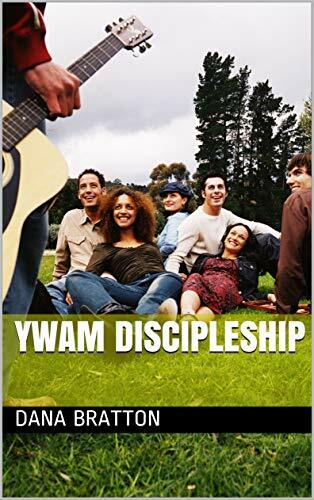 I have used this model for guidance that I learned from Bill Gothard of Basic Youth Conflicts, based on sound biblical principles. You may be asked to do something wrong against God. Will you trust God and obey Him instead? Probably this was Jesus that was in the fiery furnace with Shadrach, Meshach, and Abednego. Jesus promises to never leave us or forsake us. When I worked for the phone company I tested phone line and dispatched repairmen. When a customer called into 611 for repair service they were given a time commitment when their phone would be fixed. We had a cut cable and many phone lines were out of service. We repaired their phone lines but about two hours after the commitment time. My supervisor came to me and asked me to type them into the computer as fixed two hours earlier. I refused because that would be lying. He became very angry and threw all the trouble reports on the floor. But I took a stand for what is right. I was reminded to submit to authority in attitude and honor the position even at times when I cannot honor the person's behavior or character. A good example Steve gave was in honoring President Bill Clinton.